Rethinking Inconvenient Forum under 1404. The Federal Circuit has granted HP’s petition for writ of mandamus – ordering the E.D. Tex. Judge Schroeder transfer Cypress Lake Software, Inc. v. HP Inc. to N.D. California — HP’s home district. Venue must be “proper.” 28 U.S.C. 1400(b). But, even when proper, a district court may order a case transferred to another venue for convenience. Although the law follows the traditional doctrine of forum non-conveniens, it has been codified at 28 U.S.C. 1404(a). Id. Although the decision to transfer is within the district court discretion, the Federal Circuit has repeatedly held that some transfer-denials will be held an abuse-of-discretion. Since its 2008 TS Tech decision, the Federal Circuit appears to have been particularly attuned to attempts by plaintiffs to shift venue to the E.D. Texas instead of filing in a more reasonably appropriate venue. On the 1404 issue, the Federal Circuit follows the substantive law of the local circuit court. In the Fifth Circuit, the question is whether “the movant demonstrates that the transferee venue is clearly more convenient.” Since that question is within the discretion of the district court, the appeals court will only overturn a transfer-denial based upon a “clear abuse of discretion.” Although the standard appears discretionary, my take-away from the Federal Circuit line of cases is that the lower court does not really have discretion: if the movant provides evidence that the alternate venue is clearly more convenient, then it would be clear error to not transfer. The petition is granted. The district court’s order denying HP’s motion to transfer is vacated, and the district court is directed to grant the transfer motion. In talking with my patent law class about this case, I noted today that the court walked through the motions here without actually addressing some of the real reasons for the venue transfer (1) getting out of E.D. Texas; (2) slowing down the litigation; (3) raising costs for the defendant. The rehabilitation of 1400(b) as a venue limitation has removed substantial political pressure off of the court in terms of forum shopping. I would suggest that the court use this reprieve as an opportunity to reform its convenient forum jurisprudence in a way that revives its practical common law origins. In this case – is it really that inconvenient for HP to litigate in Texas? Answer – No its not. Photo: HP’s 400,000 sqft facility near Houston. 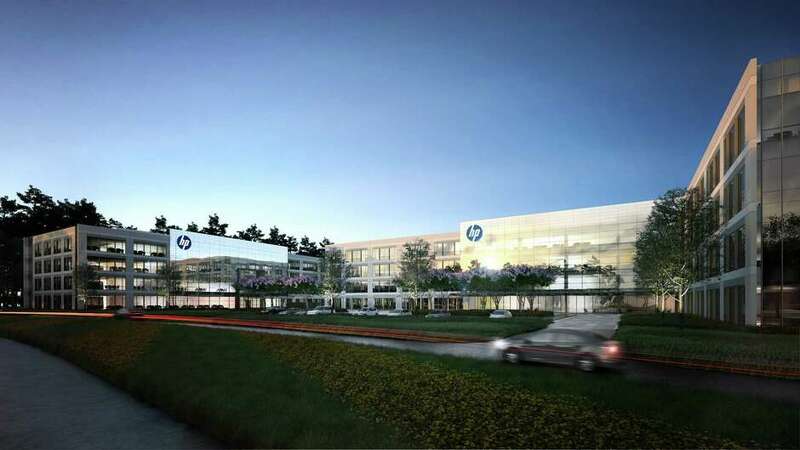 “HP will be able to enjoy all of the first-class amenities we will offer within CityPlace, and Springwoods Village,” Robert Fields, president and CEO of Patrinely Group, said in an announcement. Gang r@ pes like this are part of the culture of certain sleazy fr@ ternities and they’ve been part of the culture forever. Apologies if you grew up sheltered from all this, f0lks. But the Perznut is a r@ ping mis 0gynist l y in g piece of shirt and it’s not suprise that he’d appoint someone just like him. Also no surprise that the Ferderalist Society Bros elevated this pile of tr@ sh as a nominee. This is why nobody who ever was in the Ferderalist Society will ever be hired by me. It’s a cess p 00l. Always was. This is not that forum. Remember, folks: “anon” likes to endlessly screech about the “broken scoreboard” that is the US Supreme Court. But he doesn’t want to talk about one of the major political parties putting a ly ing r@ pey s k u m b@g on the Supreme Court. Conclusion: “anon” is a hypocrite who secretly wishes he was on that train with Brett. Stop already with the false statements, Malcolm. There is NOTHING hypocritical in my “broken scoreboard” comments because those comments are directly on point with patent law issues. Find an appropriate forum for your feelings – and that is NOT this forum. Is a lying r@ per likely to help “fix” your imaginary “broken scoreboard”, “anon”? I’m sorry reality is difficult for you, “anon.” True of a lot of entitled white men these days. Boo hoo hoo. Was not the wholesale expungement of your tired rant of feelings on the new thread enough for you, Malcolm? Must you drop your turds on every thread? Tell me again (or for the first time) exactly who has had more posts expunged than ALL others combined? Holy SHT! Bill Cosby was there?!?!?!?!!?!?! Wonder if he’ll get put away for more years soon? Not sure what this has to do with K man getting on the supreme court then. He is not allegatted to have done a crime or even known of a crime. Very interesting I’d like to read this sworn declaratin’ rather than read the summary. MM bruh, did you see the new democratic ad? Herein they no longer ha te whitey (so I guess you’ll have to give that up) or his evil accomplishments etc. They also imply that they might even be fer the lowly white mail (heresy!). Really?! I would suspect most if not all of the HP witnesses reside in Santa Clara, about 40 minutes from whatever courthouse in N.D. Cal. the case gets assigned to. Those same witnesses would have to travel about nine to ten hours total (including about 170 miles of ground transportation) to get out to E.D. Tex. It’s not even debatable, Dennis. The fact that HP has a facility in Houston makes no difference if none of the potential HP witnesses reside there. Houston also isn’t in the Eastern District. @Lode_Runner I have to disagree, as it is debatable. What is more fair: (1) make a multinational corporation that is based in California travel nine to ten hours to Texas for a trial, or (2) make a small, tenuously-financed start up company based in Texas travel nine to ten hours to California for a trial? Every time the Federal Circuit orders a transfer based on “convenience,” it is implicitly admitting that justice does indeed depend on the forum, and by ordering the transfer, it tips the scales of justice in favor of one party or another. Is justice served when the outcome of the case is determined not by the merits of the case, but by the inability of the small, start up company to afford the costs of litigating in the defendant’s home forum? Well, when the plaintiff files in an inconvenient forum that notoriously favors the plaintiff side of the case, the scales were tipped from the get-go. If anything, ordering a transfer in such a case simply places the scales back at even. …so it’s ok to forum shop in order to “even the scales”…? I’m curious as to the stats on how often the non-Texan companies that are most frequently sued in East Texas file in the venue themselves when they assert their patents against companies who are doing business in Texas? i.e., has Apple sued Google in East Texas for patent infringement so as to take advantage of the “favorable” conditions there? Respectfully, Professor Crouch, the issue isn’t just whether it would be inconvenient for HP — the corporate entity — to litigate in E.D. Tex. Rather, the transfer statute requires courts to consider convenience to parties *and witnesses. * Here, there were no fewer than 12 potential witnesses who resided in N.D. Cal., compared to just one who resided in E.D. Tex. Thus, the transfer mandamus makes sense, under both the statutory mandate and the common-law convenience rationale that gave birth to the statute. Josh, I expect that the facts of this case may well demand a transfer any way you look at the issue — especially since the plaintiff wasn’t able to really provide any reason for the case to be heard in TX. In this situation, I agree with you that an element of critical importance is the availability of non-party fact witnesses (folks who are not employees of HP or who have a duty or financial incentive to assist). If they reside more than 100 miles from the TX courthouse then they could not be compelled to testify at the trial (deposition would have to do). All that said, this overly doctrinal approach to the convenience question does not sit well with me because of the reality that in most cases it isn’t about convenience – but rather it is about moving to a venue perceived to be more favorable. in most cases it isn’t about convenience – but rather it is about moving to a venue perceived to be more favorable. The inconvenience of East Texas for most companies that are not headquartered there is a feature of the venue for troll-ish plaintiffs. At a minimum, it represents an expense (usually not recoverable) for the defendant. The game is that the defendant has to weight the expense and inconvenience against the settlement cost even before considerations regarding “favorability” factor in. MM, what you describe is the case for all litigation in the USA. In fact, I’ve been involved in a fair bit of litigation that has nothing to do with patents and what you describe is always the case. Many of contract settlements are just to avoid the cost of the fight. Sorry, Akhil, it’s a bit late. Too bad about that reputation of yours. You’ll always be remembered for putting your weight behind a puddle of pure s k u m. Because “Yale”. Good job, idi 0t.